As Houston temperatures dropped, the gift of warmth arrived just in time for hundreds of kids at Nathaniel Q. Henderson Elementary School in East Houston. FedEx Cares teamed up with Operation Warm, a national nonprofit that provides brand new coats to children in need, to deliver coats to every student enrolled at N.Q. Henderson. Nearly 40 FedEx volunteers helped more than 300 students pick out a free, brand-new coat in their size and favorite color. This entry was posted in Elementary Schools, Health/Wellness, News, Volunteers and partnerships, Weather, Wraparound services and tagged N.Q. Henderson ES on November 13, 2018 by HISD Communications. We are pleased to announce that Erika Kimble has been selected as the new principal of N.Q. Henderson Elementary School. Ms. Kimble began her educational career as a teacher and teacher specialist at Bonham Elementary School. In 2013, she joined the team at Shadydale Elementary School as a teacher specialist supporting efforts to improve student achievement and then as assistant principal. 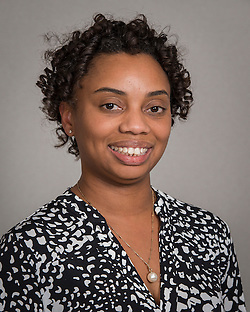 Ms. Kimble earned her bachelor’s degree in business administration from the University of St. Thomas and completed graduate studies in special education at Prairie View A&M University and educational administration and supervision at the University of Houston. This entry was posted in Staff updates and tagged N.Q. Henderson ES on June 13, 2016 by HISD Communications.